Frederick, Maryland-based Flying Dog Brewery is teaming up with a medical marijuana grower to produce the first THC-infused beer in Maryland. The nonalcoholic concoction called Hop Chronic will be available in the state's medical marijuana dispensaries. WASHINGTON — Frederick, Maryland-based Flying Dog Brewery is partnering with Maryland medical marijuana grower Green Leaf Medical Cannabis to produce the first THC-infused beer in the state. It will be a nonalcoholic India pale ale named Hop Chronic. Flying Dog said the beer will be a medical delivery system for Maryland medical cannabis patients, with the benefits but without patients having to smoke or vape cannabis. 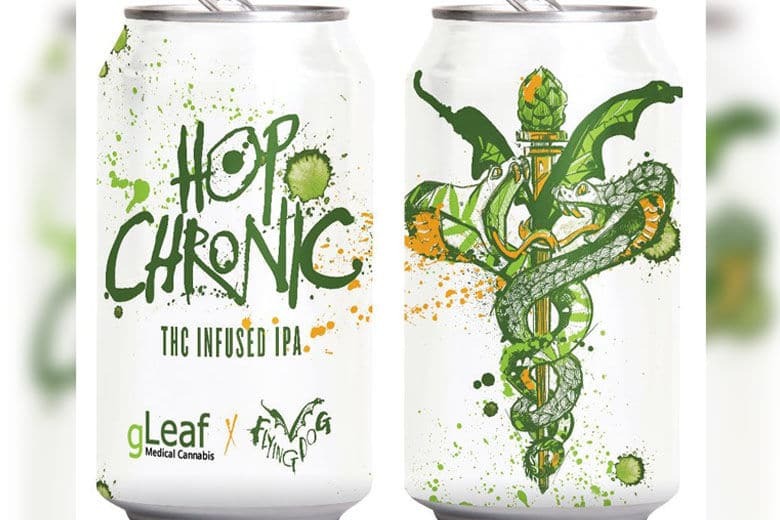 Hop Chronic will be available at medical marijuana dispensaries in Maryland in six packs or single-serve 12-ounce cans later this year, pending regulatory and legal approvals. Flying Dog said it will be available in a variety of THC and CBD potencies, but available only to people who have a medical recommendation for the use of cannabis. “We see a lot of interest in cannabis from the craft beer community, and we jumped a the opportunity to partner with Green Leaf on a product that captures the passion and energy you see in fans of both craft beer and cannabis,” said Flying Dog’s Ben Savage. “There are definitely similarities between the natural flavor profiles we extract from hops and the terpenes and cannabinoids found in Cannabis,” he said. Flying Dog said it plans to work with Green Leaf on developing more beers in the future. Green Leaf, also based in Frederick, which holds medical cannabis licenses in Maryland, Pennsylvania and Ohio, and license applications in Virginia, has raised $23 million in funding since 2014 and expects to raise an additional $20 million through a recent round of funding. Flying Dog Brewery last year ranked No. 28 on the Brewers Association’s annual list of largest craft brewers in the U.S., the only craft brewer in the D.C. region to crack the top 50.